When groups are on the move – things happen! Can you and your group twin your toilets at home, at the place where you meet, or as give-aways to schools, community spaces, businesses or council offices across your local community? Dignity is restored when the whole family can use a private, hygienic toilet at their home and doesn’t have to squat in the bush. 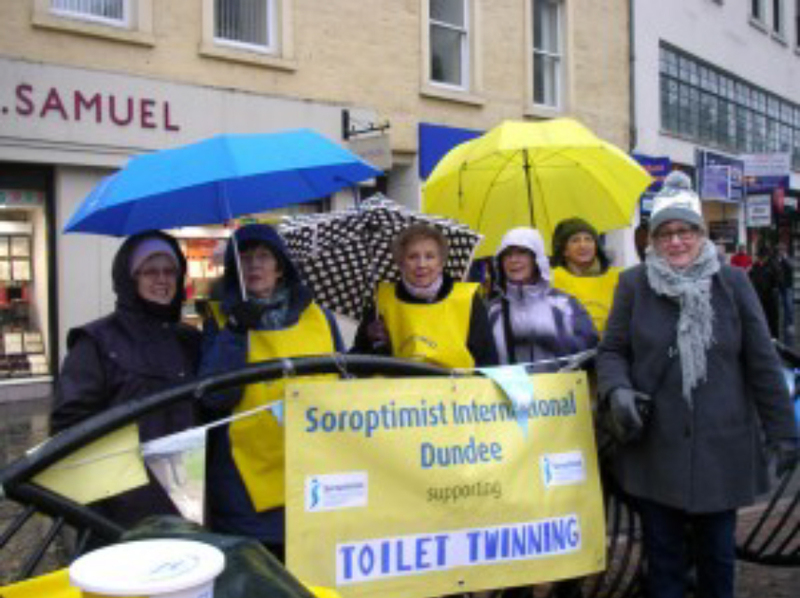 Many groups, including large networks such as the Soroptimists and Inner Wheel, love the way that Toilet Twinning champions women and girls. 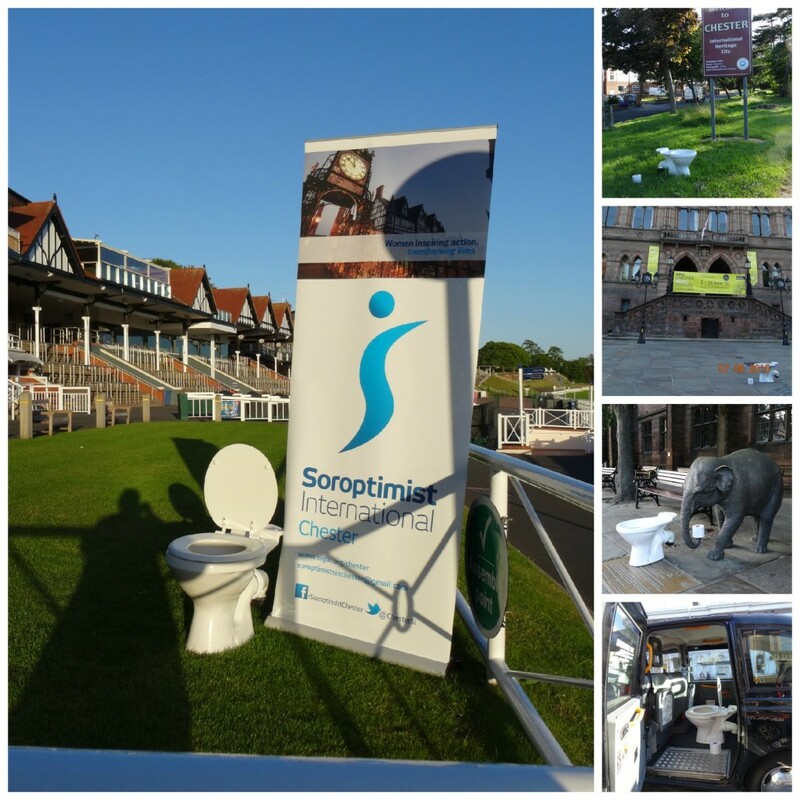 Several groups are currently spearheading Toilet Twinned Village, Toilet Twinned Town and Toilet Twinned City challenges to twin several toilets in key places, and fly the flag for safe, decent loos that save lives. A number of Rotary clubs are involved in fundraising challenges to raise funds for Toilet Twinning. They make us stop and think. We take it so for granted. Where water can’t be got? To those without a loo! Left by The Inner Wheel.